I'm excited for this post. I've been waiting to try the samples until it (their samples are fantastic and you get a lot, so I COULD have tried them before, but I DIDN'T). 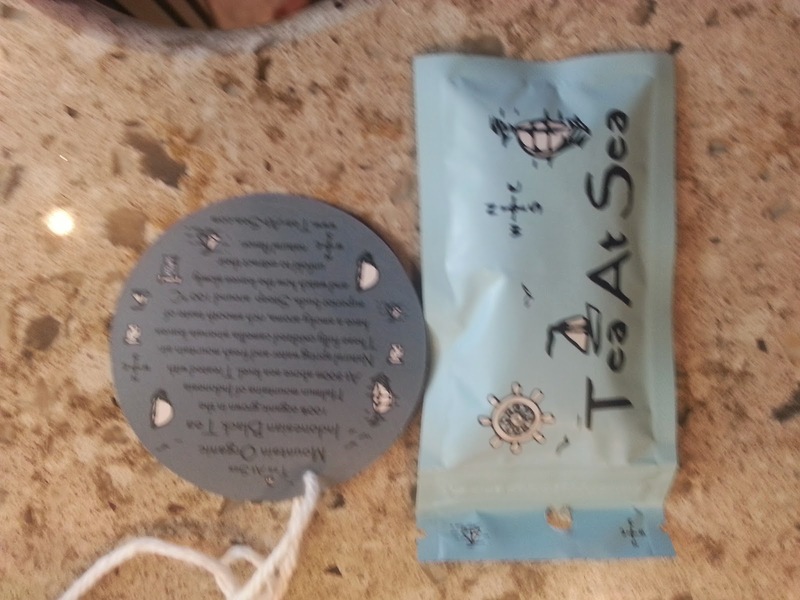 Tea at Sea tea just...oooo I'm always excited for it! BECAUSE IT IS GOOD. Reading the description makes me excited. So I steeped it to the directions. For a black tea, it is not such an opaque-ish sort of black.The color is dark, but more like how...Crown Royal looks. So for the flavor...I do get that cedar. It has a nice, mellow (not harsh or bitter), sweet-ish, cedar-y flavor. And I quite like it. Honestly, it seems like one that may be nice to use to make a chai-style tea. 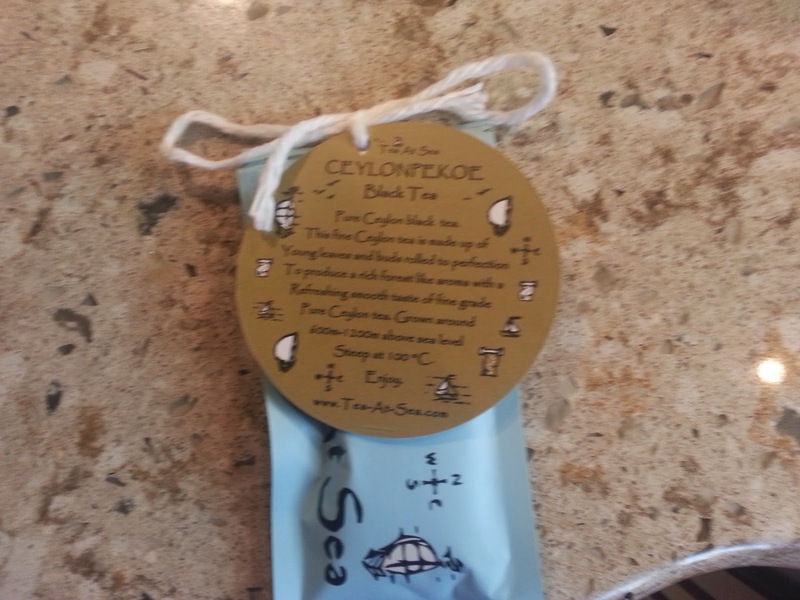 Secondly is Ceylon Pekoe. I'm a bit biased, because really Pekoe is one of my least favorite black teas. So...take none of what I say to heart, unless positive. It's a little darker than the previous tea, and definitely more of that pekoe scent. It tastes very similar to a regular pekoe. So...I'm gonna leave it there. If you like Pekoe, you'll really, really, like this tea. If not, then you won't. It's not a bad tea by any means, just not for me. Again, Tea at Sea does not disappoint.